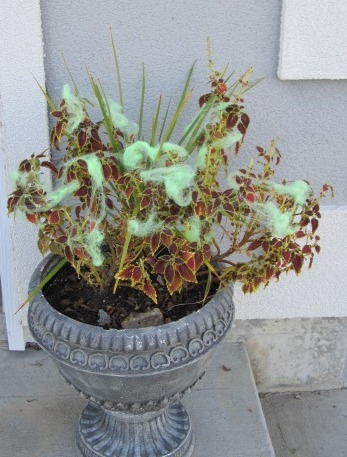 Our Happy Little Home: What's Going On Here? 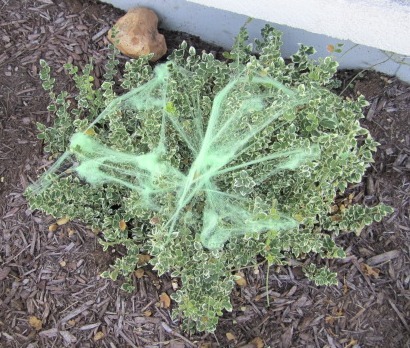 What kind of spider makes neon green webs? 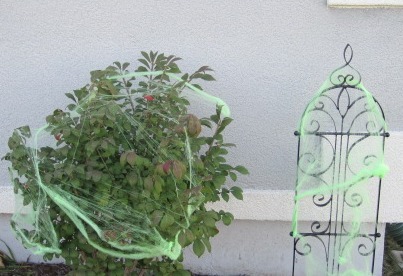 What kind of parent buys neon green webs and then helps her son spread them across her plants?